Chocolate and Peanut Butter Boobie SmoothieIncrease your breast milk supply with this yummy smoothie! 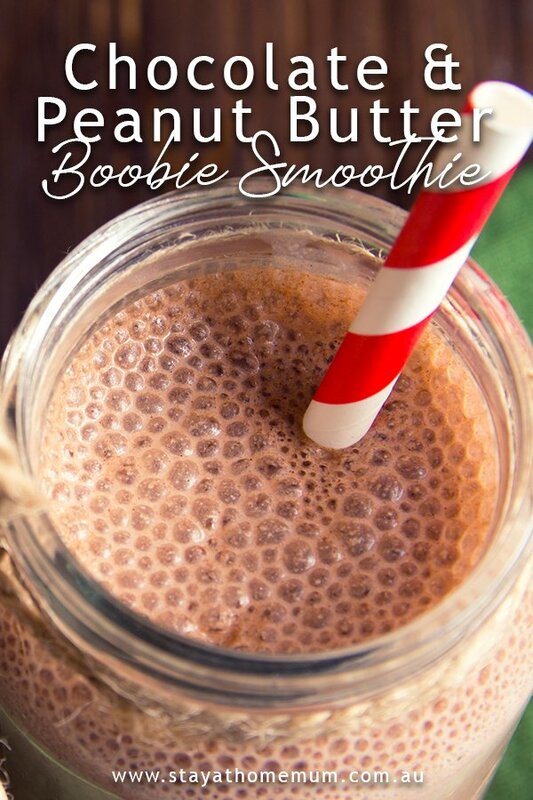 Another recipe created especially for our breastfeeding mummas – Chocolate and Peanut Butter Boobie Smoothie! If you are a breastfeeding Mumma and you are wanting to increase your milk supply then try our recipe for delicious Chocolate and Peanut Butter Boobie Smoothie! It contains brewers yeast which is delicious in drinks and has been used for generations of Mothers wanting to increase their milk supply. Make sure you are drinking plenty of fluids and eating well on top of enjoying this Boobie Smoothie as a snack! Place all the ingredients in a blender together with a cup of ice. Blend well until well combined. Make the Chocolate and Peanut Butter Boobie Smoothie fresh - as it will separate and be horrible if you make it in advance and store it in the fridge. Brewers Yeast is available from your local Health Food Store or in the home brewing section of Big W.